However, you — the scientists of the monster factory — have a terrible secret: You wish to use the monsters you have created to help you conquer the world! You are just biding your time while the public becomes used to them, then you will call them back and spread panic! You should train your monsters in the arena to learn special tricks to use in the final battle. Sounds easy? It might be, but you must watch out for your colleagues who have the same evil plan as you. You will have to fight them first if you want to win and rule the world! 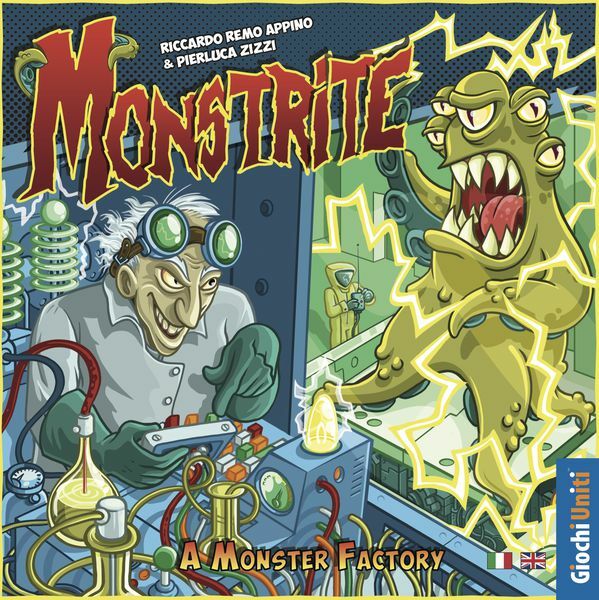 Monstrite is divided into two game phases. 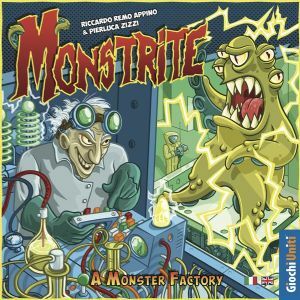 During the first phase, players amass monstrite tokens and by using the machine cards they create monster tokens. During this phase, players earn victory points (VPs) by selling monsters based on the contract cards. In the second phase, they call the monsters back and fight each other in order to become the undisputed leader. During this phase, player earn VPs by battling with their monsters and winning battle cards. Battles are solved by using a special bidding system and by the utilization of trick cards. At the end of the game, the player with the most VPs wins!